Xlideit Image Viewer - стильный просмотрщик изображений. Помимо основной функции приложения, он имеет целый набор инструментов для обработки фотографий. В силах этих инструментов относятся самые простые операции по изменению размера изображений, вращению и некоторые другие операции. 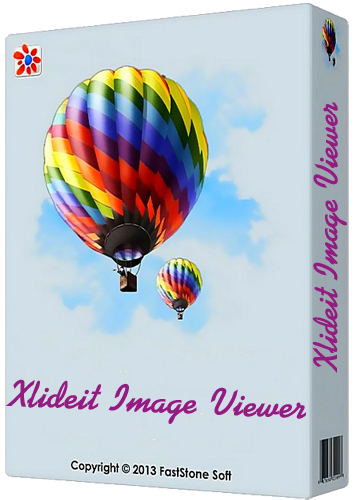 Xlideit Image Viewer is a lightweight image viewer and editing application that helps you generate slideshows, crop pictures and convert them to other formats. Xlideit bundles an image viewer and a graphic editor within a single package, providing you with additional options to generate slideshows. Its transparent interface and the color palette offers it a modern look, while the accessible layout of the toolbars make it very easy to use. You start by loading a folder that contains one or more pictures, in some of the most common graphic formats, such as JPEG, PNG, GIF, BMP, TIFF, WMF, icons, cursors and image lists. The integrated file browser can be easily activated, which enables you to easily navigate to the desired location on your computer. Moreover, Xlideit allows image filtering and list customization, which means that you can easily remove certain images from a slideshow. Pictures can be sorted using various criteria, such as file name, creation date, size, width or height, the aspect ratio or the file type. You can quickly print an image, open it with another program or send it to the default graphic editor. With a single click you can delete or clone an image, rotate and flip it horizontally or vertically, view or remove its tag data. Xlideit allows zooming and it comes with a built-in magnifier that you can use to analyze the picture in detail. The included editing toolbox enables you to crop a picture, resize it and make certain adjustments to the brightness, the contrast, saturation, hue and gamma levels in order to enhance its quality. Also, the application comes with conversion capabilities, which enable you to obtain JPG, PNG, BMP, TIF or GIF pictures out of any file format. Xlideit enables you to view image slideshows, edit and enhance images and convert pictures to some of the most popular formats. While its editing feature set is not by far as rich as the one of a professional image editor, it can cover the needs of regular users.